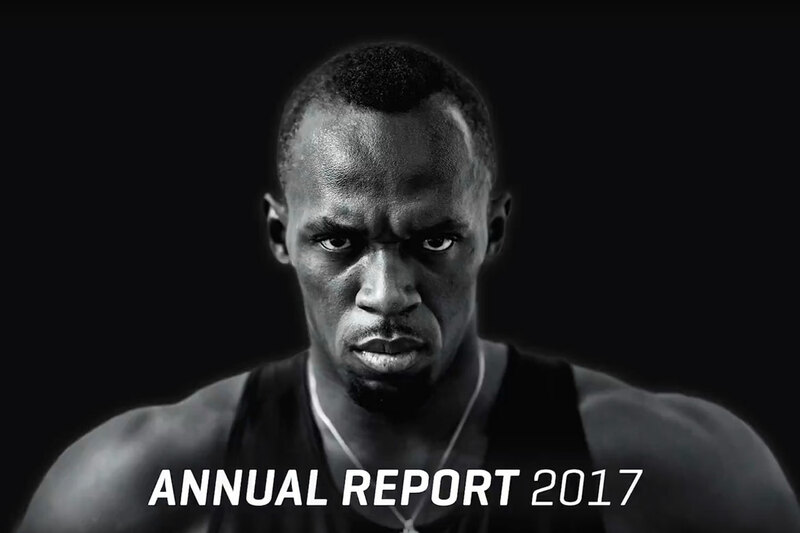 For PUMA, Publicis Pixelpark has implemented the “fastest annual report in the world”. At the technological and creative heart of the overall solution is a 9.58-second film, which allows the user to interactively navigate back and forth through the business report. Simultaneously, the exceptional athlete Usain Bolt is running his unbeaten world record in the 100m sprint from the year 2009. Since November 2017, Publicis Pixelpark has been working with PUMA to help drive their corporate mission statement “Forever Faster”. It includes the print edition of the annual report 2017, the invitation to the annual General Meeting and a microsite, which is also embedded in the movie “9.58 Seconds”. The film “9.58 Seconds” is the central element of the overall implementation: The content of the current annual report was laid over Usain Bolt’s World Record Run from 2009. The film consists of 240 individual frames, in which the 250 pages of the annual report are embedded. The user can interactively navigate back and forth, stop and read while Usain Bolt runs towards his victory. Certain markers make it possible to directly jump off the film into the relevant topics on the microsite. All the chapters of the annual report can be accessed on tiles with a mouse-over effect and be read there. The film was shown at the PUMA annual General Meeting on 12th April 2018 for the first time and was accompanied by social media activities.